Model 25 Amp. 40 Amp. 63 Amp. 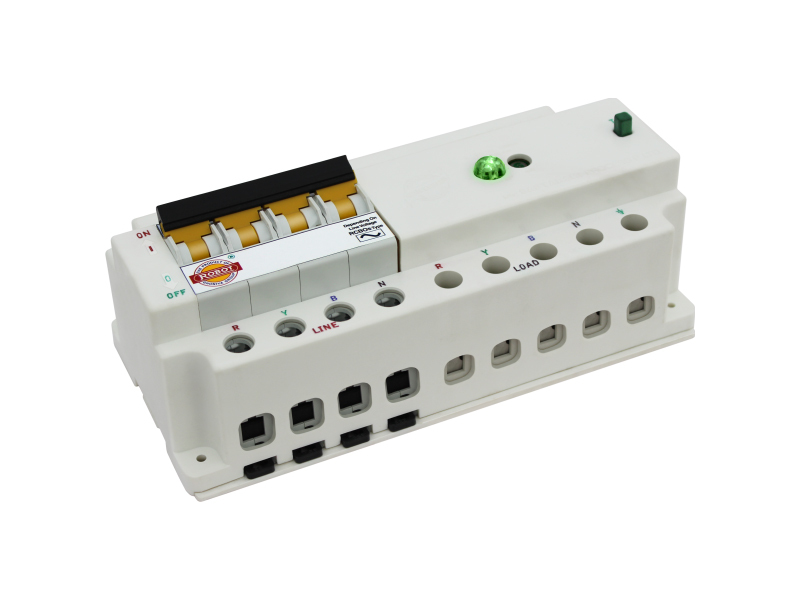 Protection: Electric Shock, Short Circuit Up to 10000A, Over Load, Power Wastage, Degree Of Protection = IP 20. I2t = Class-3. 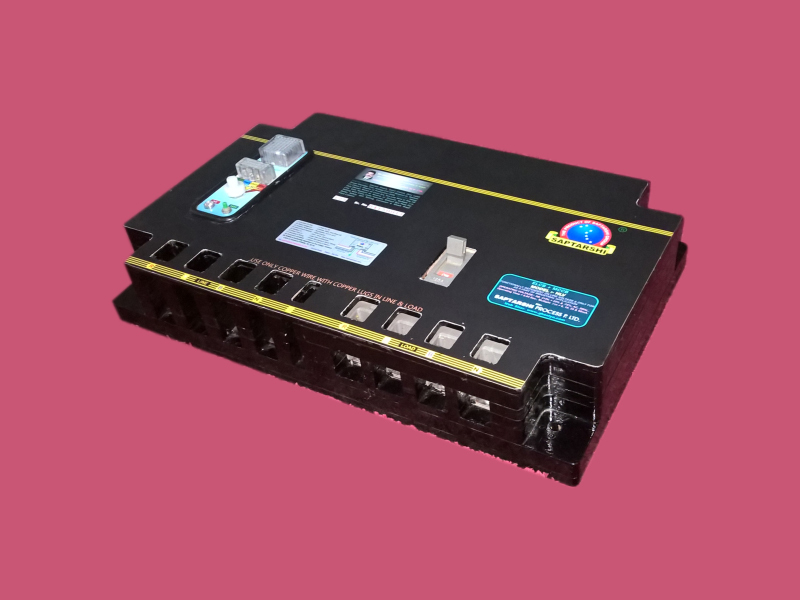 Feature: Time Interval Siren, Working Bye Pass Audio & Video Indicator, Variable IDn Setting, Bye Pass, Self Testing, Built In 100A Terminal Connector Block, Corrosion & Shock Proof Molding Cabinet, Line & Load Interchange Protection, ON-OFF Guard. 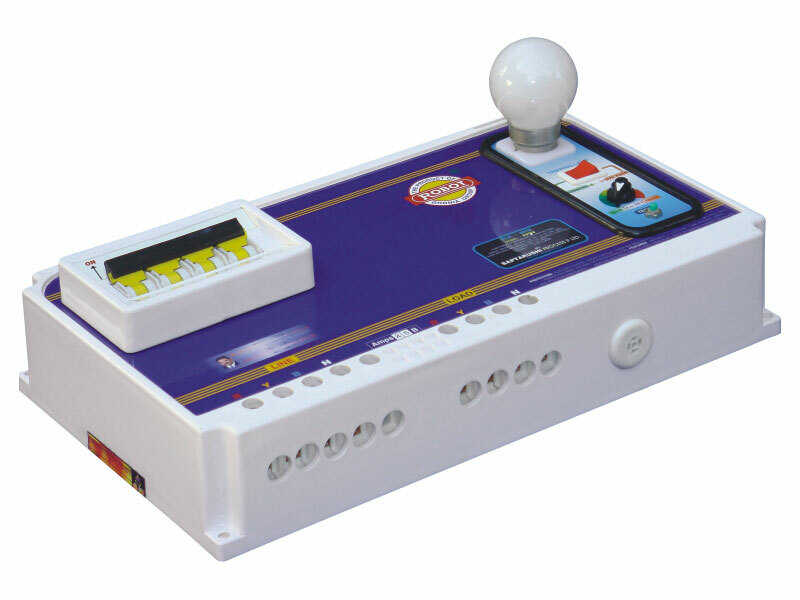 Protection: Electric Shock, Short Circuit Up to 10000A, Over Load, Power Wastage, Over Voltage, Neutral Return, Two Phashing, Degree Of Protection = IP 20. 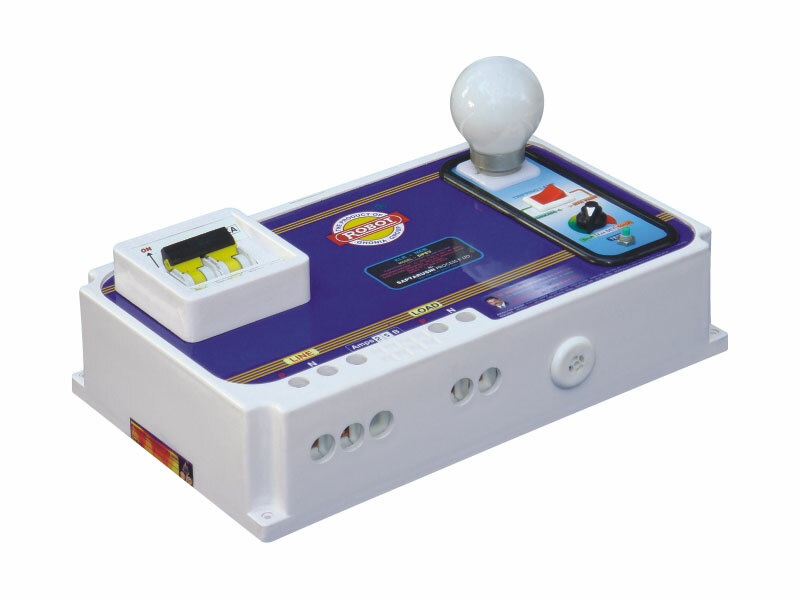 I2t = Class-3. 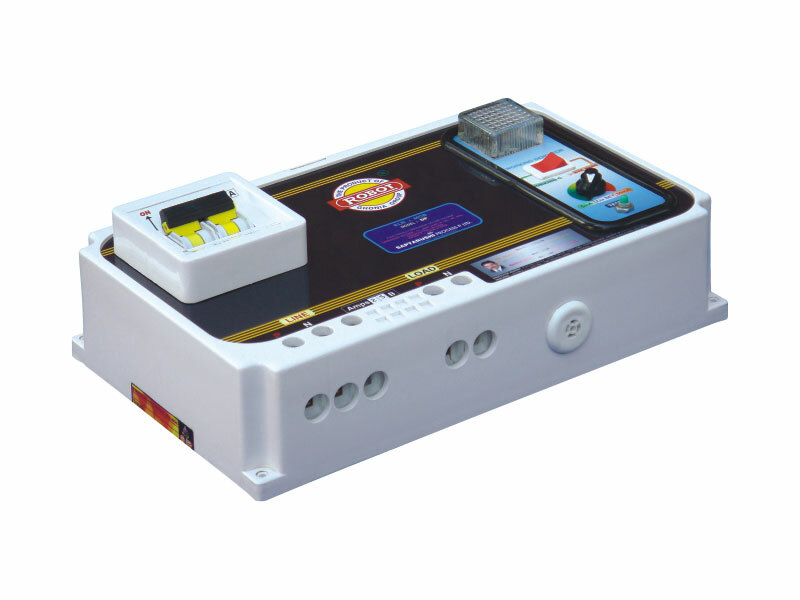 Feature:Time Interval Siren, Working Bye Pass Audio & Video Indicator, Tripping Lamp, Variable IDn Setting, Bye Pass, Self Testing, Built In 100A Terminal Connector Block, Corrosion & Shock Proof Molding Cabinet, Line & Load Interchange Protection, ON-OFF Guard. 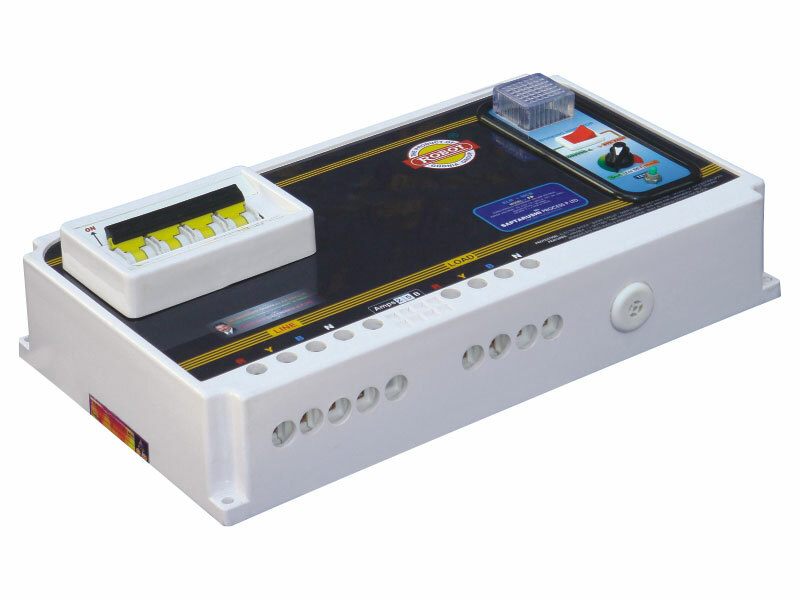 Feature: Time Interval Siren, Working Bye Pass Audio & Video Indicator, Tripping Lamp, Variable IDn Setting, Bye Pass, Self Testing, Built In 100A Terminal Connector Block, Corrosion & Shock Proof Molding Cabinet, Line & Load Interchange Protection, ON-OFF Guard. 3Ø +Neutral+Ground, 4-Pole, 415V, 50Hz. Model 125 Amp. 250 Amp. 500 Amp. 1200 Amp. 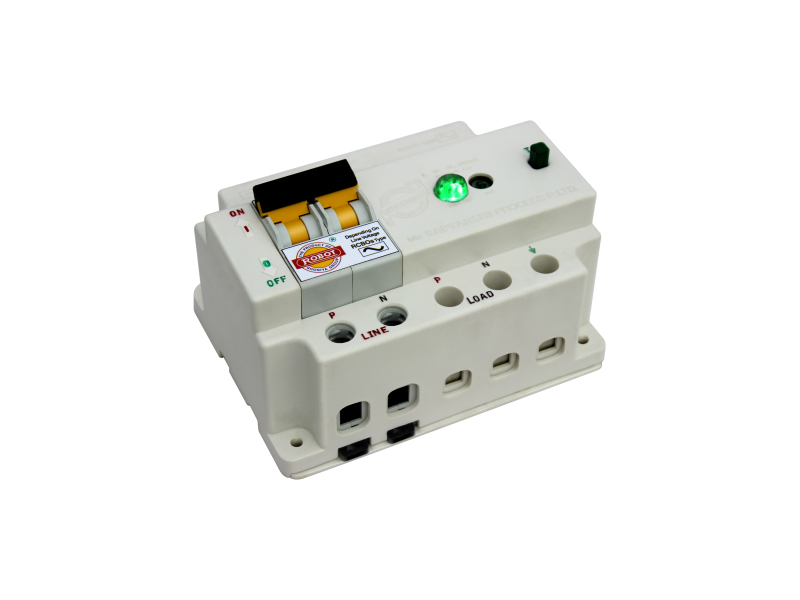 Protection: Electric Shock, Short Circuit Up to 10KA,Over Voltage, Over Load, Power Wastage, Neutral Return/Two Phashing, I2t = Class-3, Degree Of Protection=IP20. Feature: Heavy Duty Design, Works At Least Any 1Ø Line Wire Respect to Neutral or Ground, Multiple IDn Setting With Color Code Indicator, Without Bye Pass For Better Safety, Built In Tripping Lamp, Time Interval Siren, Self Testing, Built In 100A Terminal Connector Block, Corrosion & Shock Proof Molding Cabinet, Line & Load Interchange Protection, ON-OFF Guard.